Building Information Modeling (BIM) is changing the way project data is organized and the way teams work together. Multi-disciplinary project teams can collaborate using BIM software solutions to create, use, and share intelligent 3D digital model information, giving all stakeholders a clearer vision of the project and increasing their ability to make faster, more informed decisions. Data exchange standards are essential to help project teams move information from one 3D modeling software application to another without loss of data fidelity, facilitating more efficient workflows and higher quality outcomes. 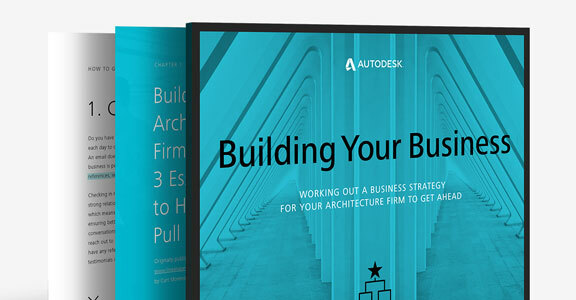 The first software vendor to offer CAD on nonproprietary hardware (the PC), Autodesk recognized the importance of interoperability early on and remains committed to collaborative, connected, and open BIM workflows which help provide successful outcomes for the entire AEC industry. 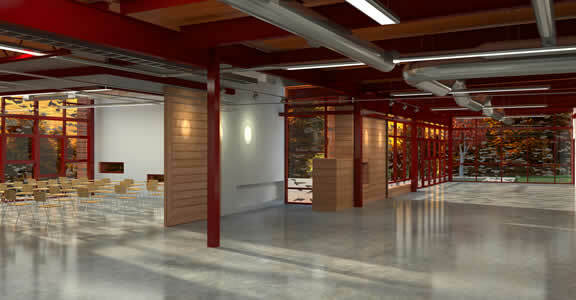 Industry Foundation Classes (IFC) is an important industry standard for the exchange of BIM data. The IFC data model contains both geometry and properties of ‘intelligent’ building elements and their relationships to other elements in a building model—central concepts of BIM. This open data effort began in 1996 when a group of organizations, including Autodesk, came together to examine the potential for making different software applications work together and founded the International Alliance for Interoperability (IAI), now known as buildingSMART International (bSI). IFC is a neutral standard with rigorous certification requirements, maintained under the umbrella of openBIM® by the non-profit buildingSMART organization independent of any particular software vendor’s development or marketing initiatives. buildingSMART International is the authoritative source for openBIM specifications. Since 1982, when Autodesk introduced DXFTM for transferring data to and from AutoCAD software, the company has continued to invest in interoperability, including the release of the Revit IFC open source code library in 2011 and by providing IFC Export in Revit as open source technology. Support of the U.S General Services Administration (GSA) IFC model view. Singapore IFC Code-checking view certification by Building Construction Authority (BCA), which regulates Singapore’s building and construction industry. BIM 360 Docs is designed to help government clients comply with the BIM Level 2 mandate in the UK. The release of IFC Import and Export for Revit software as an Autodesk-sponsored open source project. “Collaborative engineering with IFC: new insights and technology” outlines a successful application of IFC information for project teams. The paper concluded that IFC is effective for collaboration and for referencing and verifying original data sources (on projects that feature multiple BIM software applications as well as projects where one BIM platform is predominant). The IFC reference model approach described in the paper meets the fluid project team demands of today’s AEC projects and provides a framework for more aggressive application of IFC information in the future. Figure 1. On a single building project, many software applications and data formats may be required, such as those shown here. 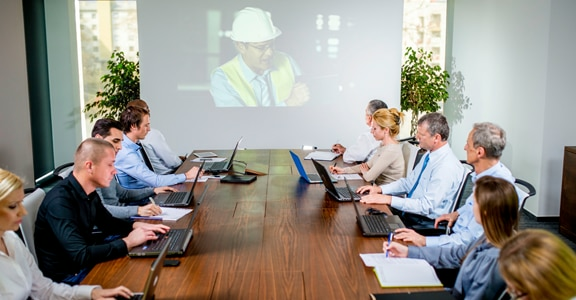 The AEC industry has many contributing disciplines and building professionals generating information to meet the various demands of a building project, ranging from architects and engineers to contractors, fabricators, and owners. Each of these professionals creates specific project deliverables that demand specific and sometime unique data inputs. This creates a complex environment of multiple exchanges between people, disciplines, and project phases. To expand interoperability between AEC design software, cross-vendor data exchange agreements are needed. 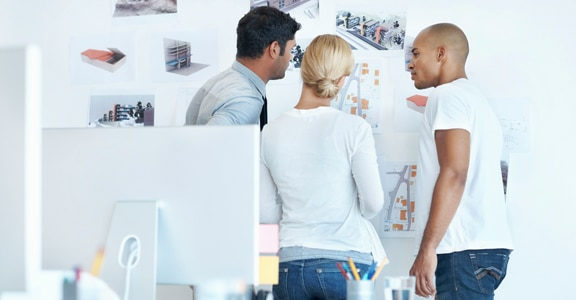 For example, joint efforts help make it easier for Autodesk and Bentley customers to exchange the companies' respective DWG and DGN file types with greater fidelity. In addition, the U.S National BIM Standard (NBIMS) and the related efforts of Construction and Operations Building Information Exchange (COBie) and National CAD Standard (NCS) aim to improve the performance of facilities by defining standards for the building information needed by owners for operations an streamlining the exchange of that building data from project development and construction to handover. In addition to IFC and the standards mentioned above, Autodesk provides support for many other data exchange mechanisms and file translations to assist project teams, based on the specific need of the project. For example, several Autodesk BIM applications create and export COBie building handover information directly to a spreadsheet or via an IFC pathway, and write CIS/2 data for structural steel collaboration as well as Standard ACIS Text (SAT) file for transporting geometry from one 3D application to another. Autodesk also supports a data exchange protocol for energy analysis by sponsoring and providing active support for the gbXML open schema. Navisworks products and BIM 360 Glue web service also play a role by supporting the overlay, clash detection, and referencing of dozens of 3D model file formats for project teams to work more effectively regardless of the select BIM authoring tool. 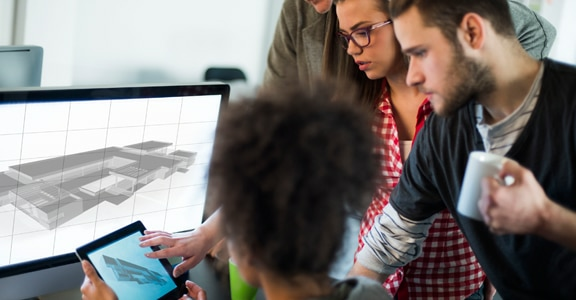 In addition, Autodesk provides support for data exchange mechanisms through open, published Application Programming Interfaces (APIs) for its software. The world is changing and so is project collaboration—global teams are using different tools across the project life cycle and reliable data exchange is critical. 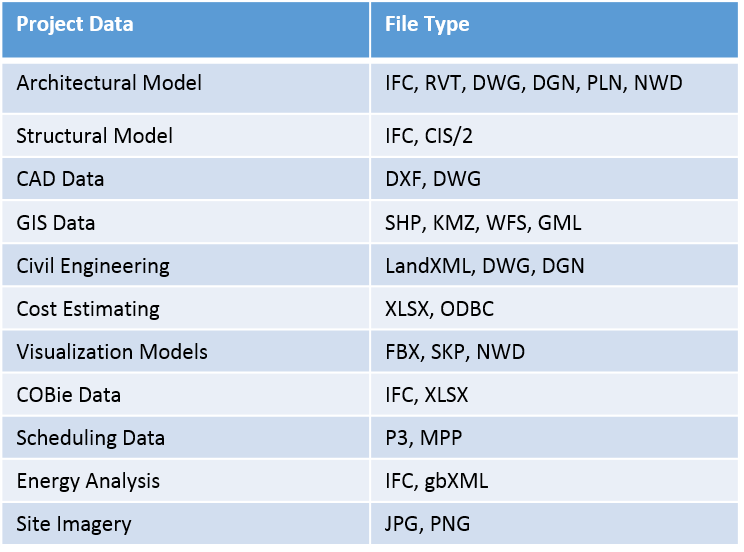 IFC data exchanges play an important role in AEC project team collaboration and will increasingly do so as more IFC model view definitions are introduced. With teams and projects becoming so complex, many different types of data are being used on AEC projects, and that data must be exchangeable with other software solutions. An open approach is critical to help the AEC industry maximize this transformation by supporting interoperability and collaborative and connected BIM processes. Note: Autodesk Revit software provides certified IFC export and import based on the buildingSMART IFC 2x3 Coordination View data exchange standard. This includes architectural, structural and MEP certifications based on the buildingSMART IFC 2x3 Coordination View 2.0 data exchange standard, as of March 2013 and April 2013, respectively. Revit received stage-1 IFC 2x3 Coordination View Certification in June 2006, and full stage-2 certification for Coordination View in May 2007. These certifications constitute the full set of certifications currently available from buildingSMART for architectural design software. Learn all about interoperability, openBIM®, IFC, and more.